Working remotely and independently in region, from his/her home office, the RCCD is responsible for monitoring and implementing identified outcomes as outlined in the First Nations Community Capacity Development Early Learning and Child Care Plan. The RCCDs work closely with BCACCS and the Provincial Capacity Developer. Using a team-based approach, the RCCD (s) may also be required to work directly with BCACCS employees, advisors and other partners. The preferred candidate is self-directed and able to work with minimum supervision with solid experience with: analyzing data, planning, problem solving, communications (oral, written and presentation) and have community engagement/development experience. 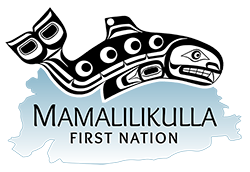 S/he will understand how to work in a culturally safe way and will have familiarity and/or program experience in Aboriginal Head Start On-Reserve, Supported Child Development and child care, including policy, legislation and procedures. The candidate must have own vehicle and be able to travel to remote, rural and isolated locations.